Residents in Caistor will get to vote on whether they think the town’s neighbourhood plan should be formally adopted. If approved, the document will give the town a bigger voice in the planning process, meaning local people will have more control over developments. It comes after the plan was checked and approved by an independent examiner - although it was initially “annihilated” by council planning officers, according to a town councillor. The referendum - called for by West Lindsey District Council’s prosperous communities committee - will take place on Thursday, January 28, with a count and results the following day. The plan will come into legal force if more than 50 per cent of voters say ‘yes’ to the document. The plan, which lasts until 2031, outlines a vision for the future of the town. It covers policies for things such as sustainable development, affordable housing, derelict land, employment, footpaths, business development, community and leisure facilities, broadband access, tourism, education provision, renewable energy and general infrastructure. Highlights include a commitment to providing affordable housing, addressing derelict buildings, improving cycling and pedestrian linkages,protecting and improving community facilities. Other key areas include support for tourism development that will benefit the local community, increasing the use and supply of renewable and low carbon energy and ‘appropriate’ expansion of schools. The plan was developed by the Neighbourhood Plan Steering Group, on behalf of Caistor Town Council. The process started in May 2012 and has involved extensive public consultation. Back in November 2013, Caistor’s neighbourhood plan became the first in the county to reach the formal pre-submission consultation stage. This involved a six-week public consultation on the plan. But the process has not beenentirely straightforward. Back in May this year, Caistor town councillors were left furious after planning staff from Peterborough City Council wrote a lengthy letter criticising the plan. Caistor town clerk Helen Pitman told a town council meeting West Lindsey District Council had called in staff from Peterborough to look at the plan because they were “stretched”. Ms Pitman told the meeting: “She said: “They asked them to comment and the officer has done a 19-page assassination of the neighbourhood plan. “We gave up three years of our lives to do this. The town council then took steps to resolve the issues, contacting independent planning advice organisation Planning Aid and arranging a meeting with officers at West Lindsey District Council. 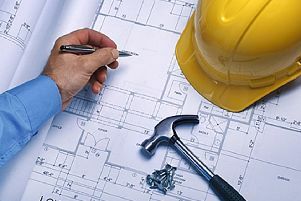 The district council is required to undertake a formal ‘check’ of the proposed plan in order to identify any, potential, legal issues with the plans policies and proposals.